Over the past thirteen years the number of crimes in Venezuela has grown at an astounding rate, making the Bolivarian Republic one of the most violent and dangerous places in the world. 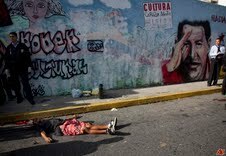 The U.S. State Department and Venezuela’s interior minister estimate that murders occur at a rate of approximately 65 per 100,000 people, while some independent calculations suggest that the figure actually approaches 70. (1,2) Venezuela now claims the unfortunate distinction of having the third highest murder rate in the Americas, following Honduras and El Salvador. (3) Just within the past year, according to Interior Minister Tareck el Aissami, the number of homicides increased from 14,500 to almost 19,000. (4) Firearms constitute the weapon of choice in about 90 percent of the murders, a figure suggestive of both the illegal proliferation of firearms and the culture of violence that has developed. (5) The Economist reports that Venezuela’s kidnapping rates surpass both México and Colombia with over 3,000 incidents each year. (6) This statistic, though, likely does not reflect the reality of the situation as many homicides and kidnappings are never reported. Venezuelan authorities struggle to control the violence, largely centered in the nation’s capital and on the Colombian border, while many government officials have engaged in criminal activities. In poorer neighborhoods, where most of the violence occurs, the problem becomes self-perpetuating. As crime occurs, ill-equipped Venezuelan security forces respond, leading to more clashes. Over time the government inevitably loses control and criminals face no liability for their actions. Libertador, a municipality within the capital presents a perfect example of this tragic phenomenon. The number of homicides in Libertador, the most violent area of Caracas, jumped by 64 percent in just a year, closing out 2011 with a rate of 133 homicides for every 100,000 inhabitants. (10) Insight Crime reports that Enero 23, one of Libertador’s most violent neighborhoods, in effect has become a “micro-state” run by about 300 armed paramilitaries who operate entirely outside of the government’s purview. 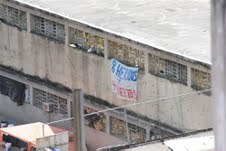 (11) These bands of heavily armed men (also known as colectivos) take over impoverished neighborhoods like Enero 23 and attack opposition groups, often with the complicity and financial support of the government. Obviously, there is no single answer to why crime has become so pervasive in Venezuelan society; however, one can point to number of structural, institutional, and political sources of instability. With 93 percent of Venezuelans living in cities and a sizable proportion of that population residing in the few largest metropolitan areas, a number of infrastructural and social problems inevitably arise, particularly in poor and overcrowded sectors. (17) Vast differences in wealth magnify these issues and create tension. Structural analysis, however, only goes so far. As Roberto Briceño-Leon, a sociologist at the Wilson Center for International Scholars, notes, traditional economic indicators that tend to mirror crime rates do not reflect the situation in Venezuela. The country’s, literacy and employment rates have risen while its Gini coefficient (a common measure income distribution) has fallen, demonstrating growing equality. (18) Yet, in spite of these improvements, violent crime has grown exponentially in the past several years, suggesting that the roots of the problem reside elsewhere. The violence, perhaps, also has roots in the chavista program and reflects much of the current political zeitgeist. Violent imagery and language forms an integral part of Hugo Chavez’s regime building. Chavistas, in a reflection of values, regularly portray and encourage forms violence as an essential element of the political struggle. Even a glance at Chavez’s Twitter account, which reaches over 3 million followers, reveals repeated use of impassioned and aggressive rhetoric. Therefore, though not it does not explicitly sanction this violent culture which is hardly conducive to democracy, the Chavez administration does little to prevent it. Meanwhile, the government often refrains from enforcing stricter policing methods because active use of the police and military still carries the stigma of right-wing governments. With elections fast approaching, politics increasingly polarizes the citizenry, leading to more clashes in the past year than ever before. Studies indicate that political instability has risen while rule of law, government effectiveness, voice, and accountability have decreased significantly. (23) These indicators echo the findings of the 2011 UN global study on homicide, which states, “the biggest changes in homicide rates occur in countries with a relatively weak rule of law.”(24) The connection between chavista politics and violence becomes even more difficult to ignore considering that the largest increases in crime have occurred over the past thirteen years, roughly the length of Chavez’s presidency. While the Chavez government has begun to publicly recognize the problem, its corrective measures have taken the form of words more often than action. Iris Varela, the head of a newly established ministry of penitentiary services, announced proposals to alleviate overcrowding and violence in prisons last year. (25) These reforms, however, never came to full fruition. More recently, the government instituted a new round of reforms, the effectiveness of which should become clear in the next several months. These included restrictions on arms, limitations on the number available to police forces and a ban on privately owned guns with the aim of disarming citizens. Now, only pre-approved groups can purchase firearms through the government vendor. (26) Chavez has also made several efforts at judicial reform by adapting the Penal Processing Code to Venezuela’s “current reality.” His alterations, he explained, will involve the installation of various municipal tribunals. (27) The success or failure of such amendments, of course, hinges on Chavez’s health and the results of the upcoming election. As the November elections approach, violence and crime have inevitably become subjects of public debate and a central issue for both candidates’ campaign platforms. Each campaign manipulates the problem to capture votes.] On one hand, the government plays violence off as the opposition’s attempts at destabilization. 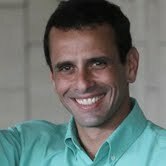 Meanwhile, Henrique Capriles Radonski, the formidable opposition candidate, claims that the president has patronizingly deceived the public by portraying the violence as a global issue rather than an exclusively Venezuelan one. Both candidates, in order to demonstrate their commitment to addressing the problem, recently released their respective plans to eradicate the violence. The opposition’s Plan de Seguridad, supposedly the collaboration of 100 experts, includes the decentralization of prisons, development of respect for the autonomy of the public ministries and judicial power, and fostering education and employment opportunities. The plan will have four “bases:” increased efforts at prevention, improvements in policing, reform of the judicial system, and reform of prisons. Each “base” will have a coordinator working to address the issues within his or her category. (28) This strategy, with its emphasis on educational reform and increasing employment, has the potential to address fundamental societal problems in Venezuela in the long term if effectively executed. However, considering the extent of the institutional engagement in corruption and crime, any successful strategy must first address the pervasive culture of violence and lack of integrity within the Venezuelan State. A Toda Vida, however, addresses the results of the violence more than the causes. Some of the provisions in the plan, particularly when it comes to the financial compensation of victims, arouse suspicion and seem like an effort to buy silence and votes in anticipation of the election. And, if the distribution of the planned municipal tribunals is at all similar to that of the police, it is unlikely that opposition party strongholds will see many of those courts. Additionally, that this plan comes as the latest in a series of failed government strategies further undermines any potential legitimacy, especially because the problem has only worsened as the government has taken steps toward corrective action. Though the crime rate has become the primary issue at stake in the Venezuelan elections, it is not yet clear how the violence and the candidates’ plans to address it will ultimately affect the results, especially with Hugo Chavez’s health in question. Citizen perceptions of government measures to eradicate the problem, and their effectiveness, fall primarily along previously drawn party lines. Chavistas align strongly in favor of the government while the opposition views the government program with suspicion. Currently unaligned voters, then, will inevitably constitute the deciding bloc in the election. 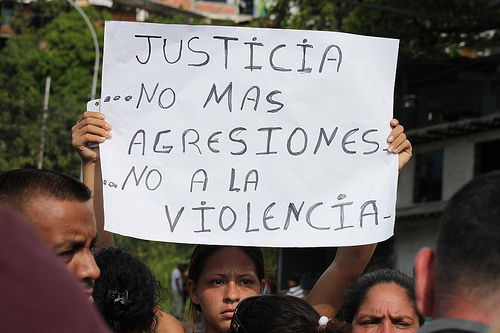 The election notwithstanding, controlling the crime rate at present obviously constitutes the single greatest challenge to Venezuelan civil society. Even though the government has made some positive strides forward–particularly with the recent bans on private arms sales that, if enforced, could eliminate the weapon of choice in most homicides–the task of making Venezuela safe again requires strong corrective action and reform in politics, police forces, the judiciary, and the penal system. The Venezuelan state must make an effort to eliminate corruption and increase accountability among officials. These changes depend on a shift in culture, both within the judiciary and throughout society, such that neither group accepts violence and extortion as tools for conflict resolution. To avoid more instances like Rodeo de la planta and Enero 23, the government must improve police training, although neither candidate includes this measure in his plan. Hanging in the balance are development, innovation, and the possibility for the economic and social advancement of everyday Venezuelans whose potential is stymied by the torrent of violence that invades their daily lives. More importantly, the current institutional state of affairs and rampant crime that corrodes all aspects of society constitutes a grievous, though less numerically quantifiable, human rights crisis. Citizens can no longer peacefully go about their business with the simple assurance that they will live to see the days end. Leaving the house becomes a leap of faith and the only people able to ensure their personal safety are those who can afford private security. Some of Chevez’s foes insist that politicization of the violence and fear of reprisal for speaking out inevitably curbs free speech and assembly as people, trying to protect themselves and their families, avoid expressing themselves openly and reporting crimes. Corruption and inefficiency on the part of the state, meanwhile, leaves law-abiding citizens with no recourse for addressing grievances, be they petty crimes or homicide. Most importantly, each homicide and kidnapping indicates a violation of the most fundamental component of human rights: the right to life. This analysis was supported by the Clough Center for Constitutional Democracy, Boston College.